For fans of the Slingo Casino and Games network Offersville takes a look at the business behind an evergreen gaming brand and some of the best mobile casinos in the UK – Gaming Realms. The online gambling market has come a long way since the first casinos opened their virtual doors in the 1990s. Perhaps the biggest change in that time has been the transition from desktop to mobile gambling. Figures show that over 80% of the online gambling audience now play on their mobile phones. At the forefront of this mobile revolution has been Gaming Realms, home to some of the most popular mobile phone casinos available to players from the UK, as well as the Slingo.com brand itself. 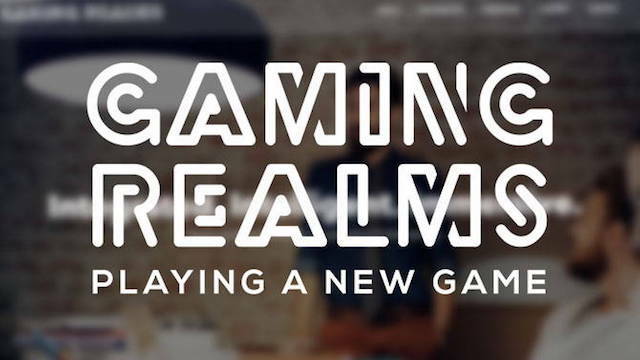 Gaming Realms specialises in developing, publishing and licensing mobile gaming content, with a particular focus on the casual gaming market – bingo, slots and casual games take precedent over high-wager table and live dealer games in Gaming Realms casinos. The Slingo games brand fits perfectly into this mix, with its hybrid bingo and slots gameplay and history of mass popularity in social media environments like Facebook. The Slingo brand was acquired by Gaming Realms in 2015 and has since been used as the theme for a number of successful game formats developed in-house, as well as being the flagship casino brand for the company’s operations. The core of the senior team at Gaming Realms were at the heart of the bingo revolution in the 2000s in the UK with their brand Foxy Bingo. It is no surprise then that they have followed that success by being at the heart of another revolution in online gaming – mobile casinos. For Gaming Realms this all started with the Pocket Fruity brand, one of the first casinos to be made specifically with the mobile audience in mind, and featuring the best mobile slots games around. Since 2012 and the launch of Pocket Fruity, Gaming Realms have followed up with SpinGenie and Slingo casinos, built to suit the casual gamer, with quick and easy access to all your favourite games. These sites also feature the BOKU payment system, making these amongst the first pay by mobile casinos. If you’re looking for alternative destinations to play your favourite slots and slingo games, and need a little more razzamataz and sparkle added, you can also play at sites that look and feel like your favourite TV shows. Gaming Realm’s Britain’s Got Talent Games and X Factor Games have been available to players in the UK for some time now. And more recently, Love Island Games was added to the list! Want more? Then fans of red-tops can play at Express Wins and Star Wins casino sites, where the full suite of slingo and slots games are available. As guardians of the Slingo brand, Gaming Realms promise to keep adding new formats of this game, as well as new slot titles, to their portfolio. The development team in London is constantly working on new and exciting games, like the recently launched Pigasus and Wheely Wheely Big Win. You can find out more about the latest Slingo slots and games right here at Offersville. The Alderney Gambling Control Commission and the UK Gambling Commission both provide licenses to Gaming Realms through their subsidiary company, Bear Group Ltd., to operate their casinos and take bets from players in the UK. You can read more about Bear Group Ltd on their website. Want to know more about Slingo Casino and pick up a tasty 300% match bonus with your first deposit? Check out our review for more information.